On February 6th the activities of “Community of Practice” will begin. The Community of Practice is an initiative designed by a team that sees the collaboration of CIHEAM-IAMB (International Centre for Advanced Mediterranean Agronomic Studies- Mediterranean Agronomic Institute of Bari) and Federbio in the framework of the XF-ACTORS project. The initiative will consist in a series of three meetings during which a working group will be created. The working group will be made up of subjects coming from the world of production, from the public administration and from the research community. The aim of the Community of Practice will be to analyze the process of transferring information about Xylella fastidiosa epidemic and to share proposals for an innovative governance of knowledge in phytosanitary emergency situations. 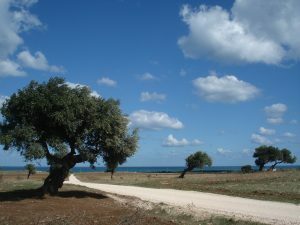 At the first, the results of the analysis work “Environmental and social potential impact report and risk farming scenarios (Apulia and Crete region)” will be presented. The work led by some researchers of CIHEAM-IAMB team of XF ACTORS project provides an overview of some important aspects of the phenomenon and it’ll work as a starting point for the discussion. The members of the community will then have the opportunity to share the experiences, the choices made and the practices adopted so far in response to the epidemic, in order to create a document that will contain the reflections and proposals arising from the meetings. The final beneficiaries of this document will be the Apulia region and the UE Commissioners. The meetings will be held under the premises of “Parco Naturale delle Dune Costiere” at Lido Morelli, in the following days: 6, 13, 20 of February, from 05.00 p.m. to 06.30 p.m.